Whip Whitaker (Denzel Washington – Safe House) is a pilot who likes to live in the fast lane. With an escalating drink and drug problem, Whip enjoys his life until a mechanical malfunction brings down an airliner he is piloting. Using quick judgement and startling skill, Whip manages to land the plane and saves many lives in the process. But after being hailed a hero, evidence comes to light that Whip make have been over the alcohol limit when he took flight. So begins a legal battle as Whip struggles to maintain his innocence whilst addressing harsh realities about his addictions. Flight is a master-stroke of modern drama from Robert Zemeckis, the man responsible for Back To The Future and Castaway. It’s been a long time since Zemeckis has been behind the camera and he ‘s certainly picked a worthy project. Flight is a film that holds your attention throughout and that’s down to the wondrous direction of Zemeckis and an Oscar worthy turn from Denzel Washington. This is a film brimming with themes of life, death, affliction and redemption that ‘s both affecting and intelligently handled. 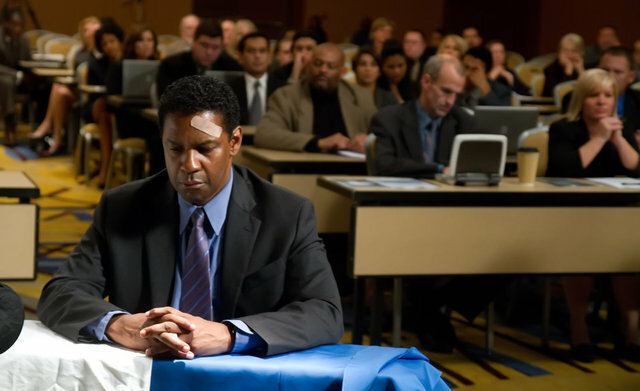 Having been a name you can rely on for many years now, Denzel Washington has plenty of noteworthy performances under his belt. Flight ranks among his very best. The role of Whip Whitaker is a textured and complicated one. It’s a role we haven’t seen Washington tackle before but he handles it with a style and dedication that’s hard to top. He gives Whip a rounded character we can all relate to whilst never painting him as a victim, rather the architect of his own demise. The supporting cast are all excellent. Kelly Reilly is exceptionally good as a strung-out junkie who finds a kindred spirit in Whip whilst Don Cheadle and Bruce Greenwood give the film some serious gravitas. John Goodman makes everything better and continues this trend here as one of Whip’s closest friends whilst My Name Is Earl’s Nadine Velaquez leaves little to the imagination as stewardess Katerina. The film features a breathtaking and damn right scary plane crash that really transports you into the cockpit. With luggage flying around and people being thrown about, it’s one of the most realistic depictions of an air disaster put to film and will give those of a sensitive disposition a reason to never fly again. If there is a downside it’s with the tone of a scene towards the very end. There is one drink/drug moment that seems to be played for laughs and that didn’t fit with the tone and themes of the movie or the journey our main character is taking. This is redeemed in an accomplished final act but it still feels misplaced all the same. Flight is a captivating drama full of purpose, spectacle and quality. 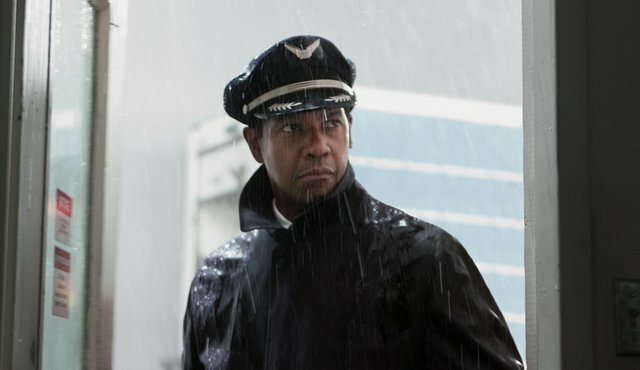 With a collective cast all doing their part and a career-best performance from Denzel Washington, Flight takes off as one of 2013 ‘s best movies that should gain big awards season recognition.